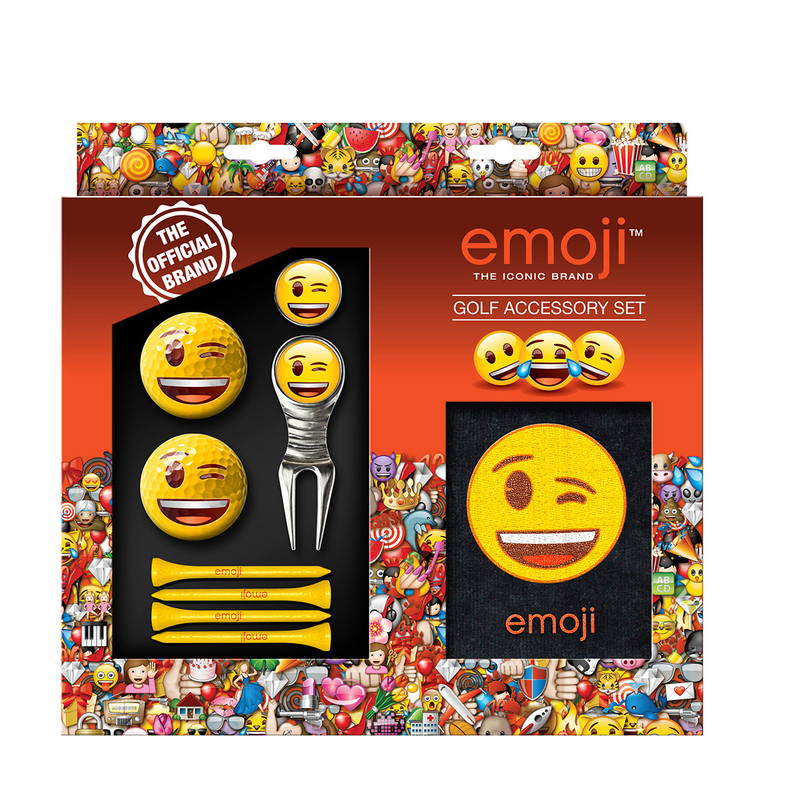 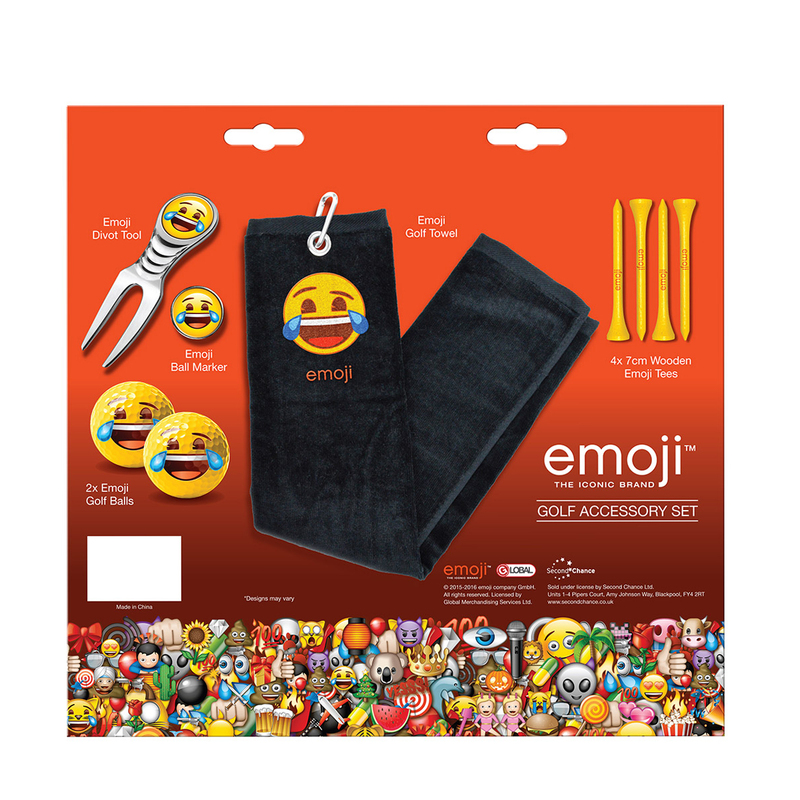 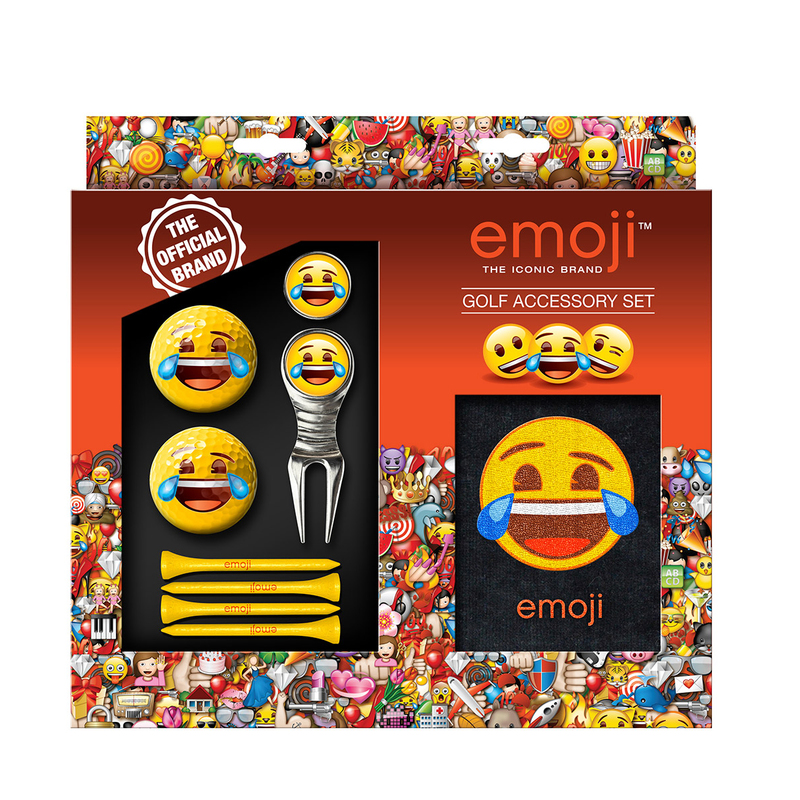 This officially branded emoji golf accessory set is perfect for the fun loving golfer. 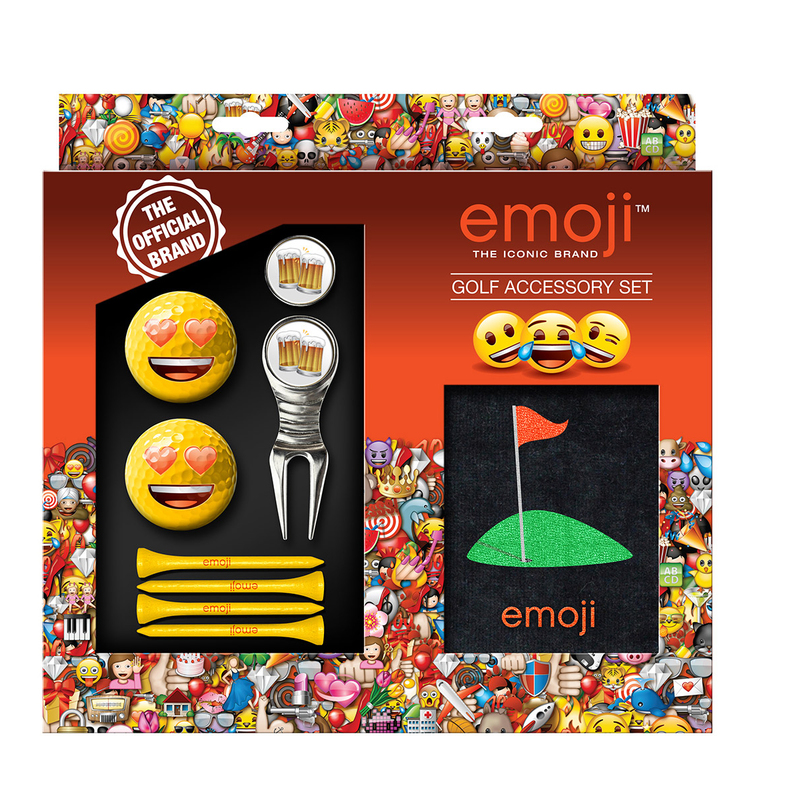 This set comes branded with a fun design, and features a precision shaped divot tool that has been designed to sit your hand comfortably. 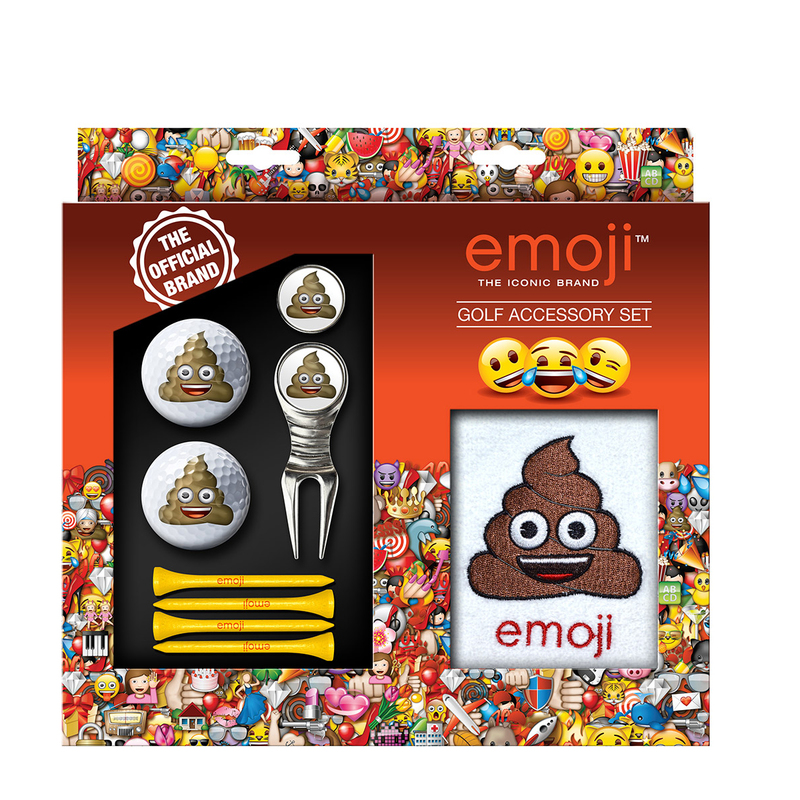 The set also includes a ball marker, comes with 2 golf balls and 4 x 7cm wooden tees, plus comes with a premium quality golf towel to keep you equipment clean and dry.